Tour is the best way to become acquainted with real Estonia and Tallinn. WMOC 2016 team have selected the best tours provider Estonian Experience who is titled by TripAdvisor with Certificate of Excellence. Estonian Experience is focused on offering you an inspirational time during your stay in Tallinn. All tours and activities have been specially designed for Estonian Experience and can be booked at WMOC webpage. All excursions are available in Estonian, English and Russian. Tours in German, Finnish, Spanish, French, Italian and other languages according to schedule. Enjoy a delightful 2-hour stroll with your local tour guide along the charming cobblestone streets of the old Town with its charming red roofs and medieval towers. Learn about everyday life and customs of Estonian people, their fascinating history and present day. This tour takes you to the most important Old Town highlights- Town Hall, Town Hall Pharmacy, Kalev’s Marzipan Museum, Long Leg, Toompea Hill & viewing platform, Alexander Nevsky Cathedral. August 8 at 16:00 (ENG, RUS, FIN, SWE, NOR, GER, ITA, SPA). Registere here! August 9 at 16:00 (ENG, RUS, FIN, GER, ITA, SPA). Register here! August 11 at 16:30 (ENG, RUS, FIN, SWE). Register here! Explore the old medieval Tallinn haunted streets on a walking tour filled with myths, medieval legends and the best of eerie stories from the times gone by. This tour will give you an opportunity to brush shoulders with spirits in the legendary Virgin Tower, a medieval prison and haunted streets of once peasant lower town, where the modern day encounters with restless spirits mix with true tales of a town filled with a rich layer of mysterious events. August 8 at 20:00 (ENG, RUS). Register here! August 10 at 20:00 (ENG). Register here! 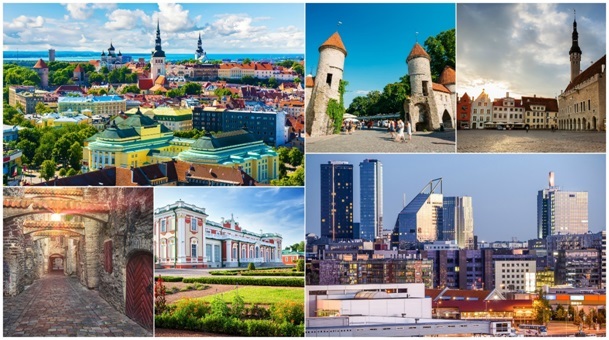 Tallinn Panoramic drive takes you to the best of the city´s famous landmarks including photo stops at city center highlights, bohemian looking Kalamaja residential area and Kadriorg Park & Palace. The guided tour takes through beautiful suburbs along the scenic Baltic Sea coastline. An ideal tour looking beyond the magic of medieval old town. August 7 at 15:00 (FIN, SWE, NOR, GER, ITA, SPA). Register here! August 7 at 18:00 (ENG, RUS). Register here! August 10 at 18:00 (ENG, RUS). Register here! In medieval Tallinn, it was customary to arrange beer tasting ceremonies before the grandest celebrations and events. This traditional medieval beer tasting takes place at the residence of a prosperous merchant and at a local brewery near the Town Hall. A short guided tour will introduce you to the medieval mysteries of this old Hanseatic town. Tasting of local beers will be an interesting and rewarding way to discover new flavours. August 12 at 16:00(ENG). Register here! Get to know Tallinn during a playful team building activity discovering medieval old town treasures with a camera. Tallinn Old Town Photo Hunt Game is a spirited team exercise, that will create long-lasting memories shared with old and new friends while building stronger relationships. The enchanting cobbled streets of a medieval city are a perfect playground for letting your imagination run wild. Your task is to locate the places on images given to you and come up with the most fantasy filled photo including all team members. After the active photo hunting in the old town an award ceremony with viewing of the photos is enjoyed while sipping on a refreshing local beer. August 10 at 16:30 (ENG). Register here! Discover the natural beauty of Estonia’s north east coastal region during our half day countryside tour. Enjoy spectacular views from a top coastal cliffs and explore the magic of Estonian second largest waterfall. Find out how Paldiski, once a key military base of the Russian empire and the Soviet Union has transformed. See historical manor estates with the medieval monastery ruins at Padise and enjoy a photo stop at a unique underwater prison in Rummu. August 9 at 13:00(ENG, RUS, GER, FIN). Register here! August 12 at 13:00(ENG, RUS, GER, SPA). Register here! 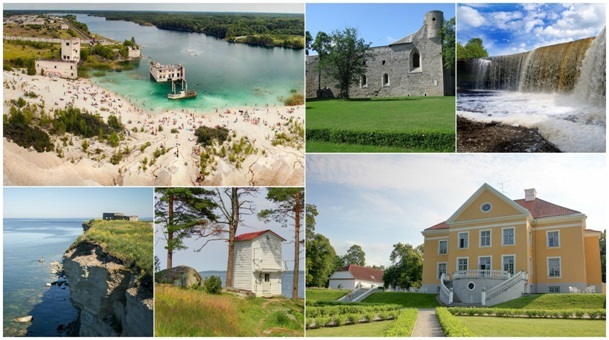 This is a perfect day trip to discover Lahemaa National Park pearls of Palmse Manor and Käsmu captain´s village with the romantic charm of North Estonian countryside. Taking a drive out of the urban setting of capital city Tallinn towards the east of the country allows us to discover the natural habitat of moose, fox, and lynx in one of the oldest and largest National Parks of the region. The stunning Northern coast of Estonia offers not only untouched forests with a secret life of their own, but also a handful of enchanting former fisher’s villages and grand Baltic manor estates. August 9 at 13:00(ENG, RUS, GER). Register here! August 12 at 13:00(ENG, RUS, GER, SPA, FIN). Register here!